Selected for the Drawing Room shop for the exhibition A Slice through the World. 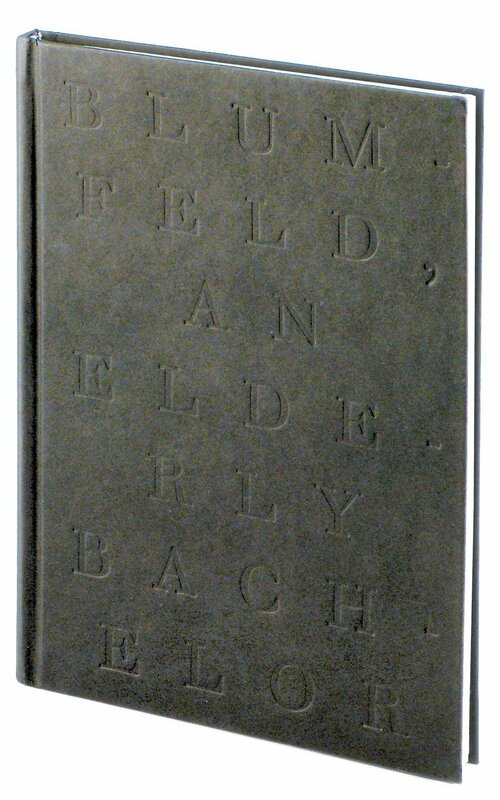 In this volume, British artist David Musgrave revisits Franz Kafka's novella Blumfeld, an Elderly Bachelor, the tale of a man who arrives home one day to find two plastic balls bouncing off the ground of their own accord. To his great irritation, these balls follow Blumfeld--who is a stickler for absolute order in his universe--wherever he goes, and his attempts to divest himself of their presence are described with Kafka's customary flair for the detached observation of the extremely bizarre. Musgrave has responded to Kafka's story with a series of pencil drawings of curious artifacts and pseudo-archaeological fragments of his own invention. Combined with John Morgan's austere design--which finds the book typeset in Kafka's preferred font and large type size, which he was never able to see printed in his lifetime--this volume almost feels like a case study of some unique bygone supernatural phenomenon.